Join Jack on a whirlwind trip through 50+ outrageous activities you can do this summer with mostly the supplies you already have. Ideas like Dreamworld, Make Your Own Backpack, and Whale Wrestling. Fun, memories and unique experiences drive impact, connection, and mission, but they don't always have to cost a ton of money. Jack will fly through activities he has seen work and inspire you to run more silly, weird, and innovative experiences at your camp this summer. Constantly searching and sharing great ideas, Jack is a summer camp director, consultant, and founder of Camping Coast to Coast. Jack is always seeking to learn from camps and has visited over 100 from New York to California. He is a passionate speaker, presenting and sharing at camps and conferences across the US and Canada. Jack is fascinated by play, pushing the limits to always trust young people more and creating environments where kids are trusted and empowered to just be. Scott's webinar dives into what happens after camp. This webinar is designed to help you avoid the on/off switch of summer camp. The best summer camp experience starts right now, with thoughtful evaluation and assessment, intentional goal setting and planning, and steady execution. Scott shares strategies and industry best practices for implementing your action plan and for smooth sailing into next summer! All young people speak two versions of their native tongue: Words and Meaning. Most adults hear the words, but how often do you stop to decode the subtext? It takes practice, but it is the fastest way to cultivate the kinds of respectful relationships that increase compliance and decrease behavior problems. In this interactive webinar, participants will discuss deceptively simple dialogue to practice listening, decoding, and providing genuine empathy. Together, these advanced techniques form the cornerstone of healthy connections with the young people you serve. An entrepreneur from a young age, Chris is the co-founder of ExpertOnlineTraining.com, the Internet’s most popular library of educational videos for youth leaders. He has been invited to deliver keynotes, contribute articles, and lead workshops at schools and camps on five continents. His award-winning preparatory resource for families, The Summer Camp Handbook, was recently translated into Mandarin to help launch the youth camp movement in China. A proud father of two boys (Danilo, born 2002, and Sava, born 2004) Chris and his wife Simonida (a chemist and musician who grew up in Belgrade, Serbia) live in New Hampshire, in the northeast United States. 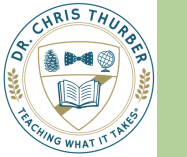 You can learn more about Chris and access all of his articles, book chapters, videos, and podcasts on DrChrisThurber.com.